Make a screenshot using native shortcuts: CMD+4 or CMD+4+Space. Click button to upload an image from local disk. Click screenshot button inside the app. Click Doc icon at the top to create a new document. Click Doc on a blue bulk action panel if you want to create a new doc with selected images. Hit create new document button. Give a title to your document. Here you see all images that you uploaded using Picpipe desktop app. Filter by collections if you defined it. Some explanations about formatting tools. 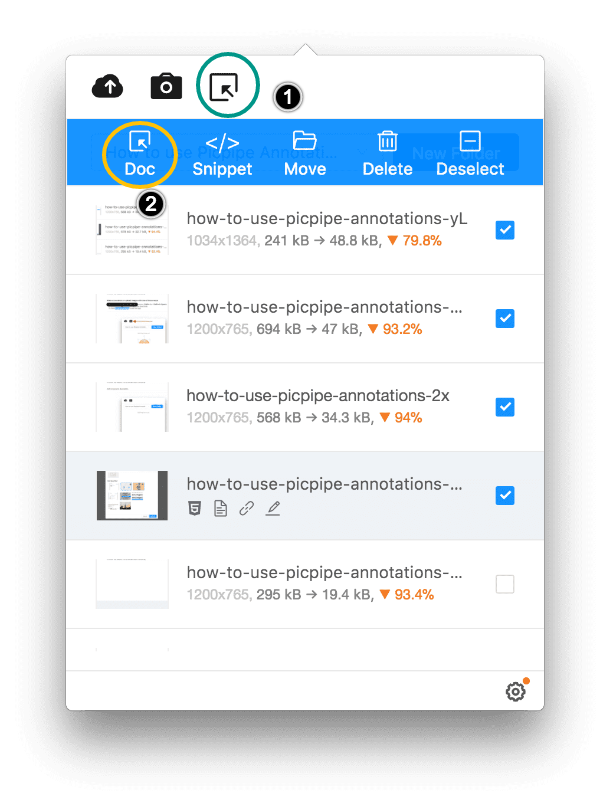 Format text: select text and formatting tools will appear - you can also use shortcuts. Add arrows, rectangles, steps (like those you see on the screenshot below). Change color and the path width. 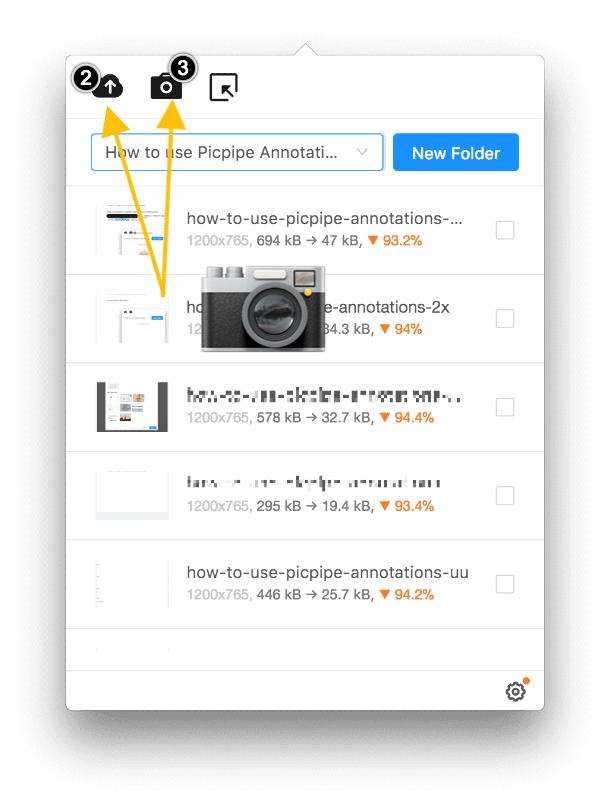 Rearrange the order of screenshots with drag and drop UI. Move, scale and rotate objects. Hit Save button when you finished and share your doc in a preferred way!! !